An old army barracks. A disused hotel. A former convent school for girls. This motley collection of buildings, each constructed with very different purposes and each with stories from their various pasts, have now diverged into a connected present. They have been repurposed from their former lives, transformed into a new function. They are now Limerick’s Direct Provision centres, scattered across the county from Foynes to the city centre to Knockalisheen. I visited all three centres on one very hot day last week. My sunburnt arm from hanging it out the car window is testament to my Limerick odyssey-of-sorts. The mission was to put notices up in each of the three centres, inviting residents in Direct Provision to an open dress rehearsal of the Abbey Theatre’s production of Jimmy’s Hall, which opened in the Lime Tree Theatre earlier this week. It is the story of Jimmy Gralton, the socialist who built a little dancehall in a field in Leitrim and refused to hand control of it over to the Church. For this he was subsequently deported by DeValera’s government as an “undesirable alien”, despite being born in Effrinagh, County Leitrim in 1886. It is a story with the struggle for justice, freedom and equality at its core, and a community’s fight against an unjust deportation. Not a million miles away from the stories and experiences of many currently living under threat of deportation in Direct Provision right now. Knockalisheen DP Centre is situated on a hill with a view of Limerick City when the sun shines. 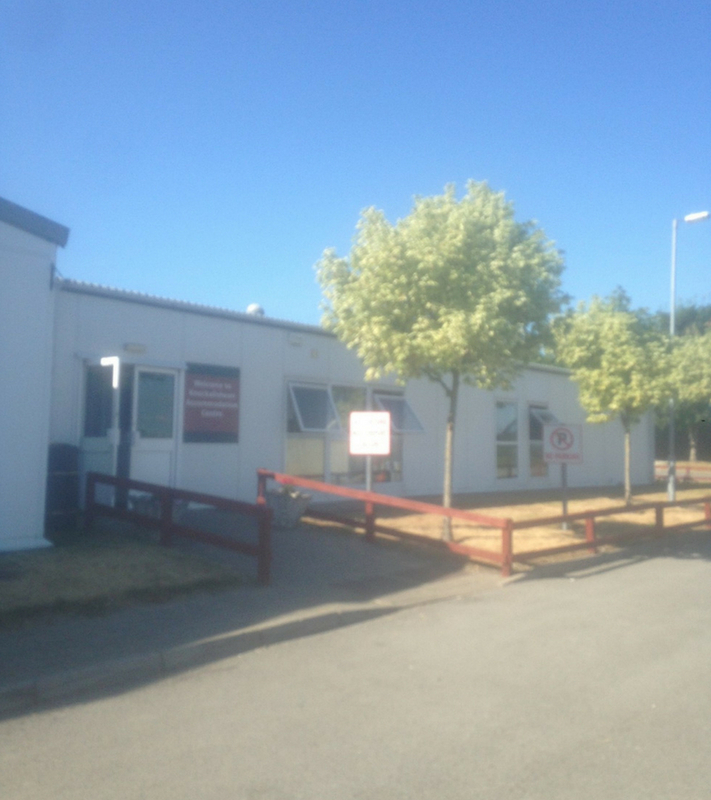 A labyrinth of portakabins and low-rise buildings, it houses around 230 people who have come to Ireland seeking asylum, including about 70 children. It is the only centre in Limerick with family accommodation, as two small play areas in the grounds indicate, yet when I arrive these lie empty. I go to the reception to stick up the notice about the play on the board, beside signs for English classes and how to seek legal advice on your application. This centre used to be an army barracks, but its new reincarnation is not unfamiliar to it. In 1956, more than 500 Hungarian refugees were housed here. They were given a great welcome by the citizens of Limerick, but this welcome did not last on an administrative level. Despite the UN Convention conferring on all refugees the right to work, considerable efforts were made to prevent the Hungarians from seeking employment. 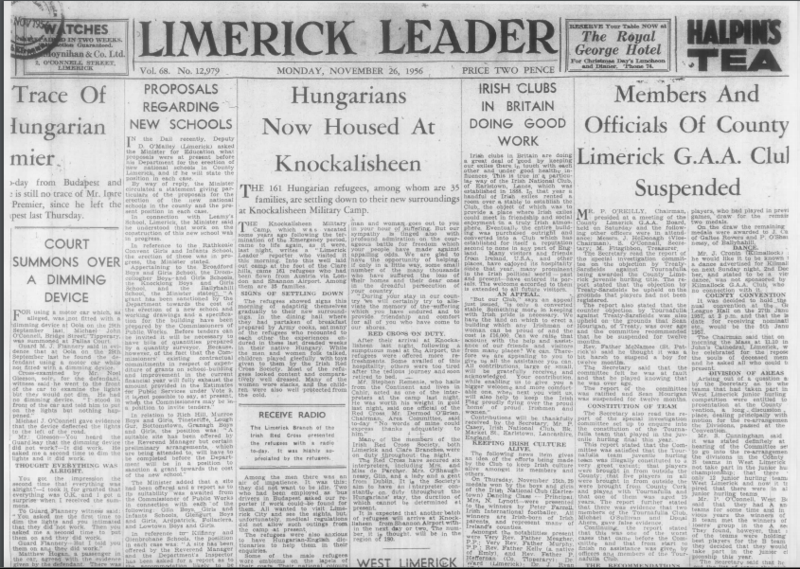 One article from the Limerick Leader dated November 26th 1956 quoted some of the Hungarian men as saying that “they did not want to be idle”. This is scarily still the case in Direct Provision now, with the new regulations around the Right to Work still inaccessible to the majority of asylum seekers. The Hungarians were confined to the Knockalisheen camp, and a Department of Defence report at the time likened it to an internment camp. In April 1957, most of the adults went on hunger strike as a stand against the conditions they were forced to live in. Fast forward to 2007, when 200 asylum seekers in the same Knockalisheen camp went on hunger strike in protest against the diet and the poor quality of accommodation in the centre. History has a scary way of repeating itself. As I left the reception area having been relieved of most of the flyers by some enthusiastic young girls, I noticed the sign they have up on the wall – “Enjoy each day, and don’t forget to smile”. It takes on an eerie aggression in a place where people are sent to wait for months, often years, while their asylum application is processed. Heading back in to town I make for Glentworth Street DP Centre, in the middle of the city. The plaster on the walls outside is crumbling, and the hinges where a sign once swung in the breeze can still be seen. This was the historic Hanratty’s Hotel, a busy spot in the epi-centre of Limerick life. DeValera used to stay there when he was canvassing in Limerick and Clare. In the 1980s, touring theatre companies to Belltable used to opt for the surroundings of Hanratty’s after performing. I’d say many a seisiún was had there after shows. But it has changed a lot since those days. The little door to get in to the centre is around the side and there is no natural light. I’m dazzled for a bit after coming in from the sun outside, but stick the notice up on the board. There are mostly single men in this centre, and some of them ask me about the play. The manager watches me from through the reception desk Perspex glass as I leave. Back on the road heading to Foynes for the final stop, my arm considerably pinker than when I left this morning. Mount Trenchard houses 55 single men, an old grand house that was later bought by the Sisters of Mercy and turned in to a private boarding school for girls. The original house was built by the Anglo-Irish Rice family, and it has a dramatic past. 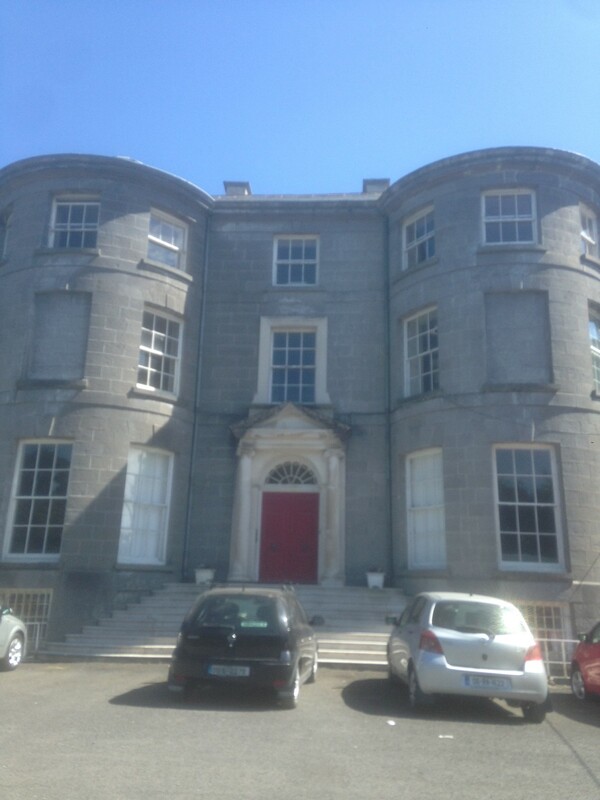 It was used as a safehouse by IRA fighters during the War of Independence. The family boat was used to ferry men and arms across the Shannon Estuary. Mary Spring Rice who was reared on the Mount Trenchard estate was actively involved in gunrunning in the fight for Irish freedom in 1913 and 1914, held many nationalist meetings in the house and set up a branch of Cumann na mBan in Foynes. 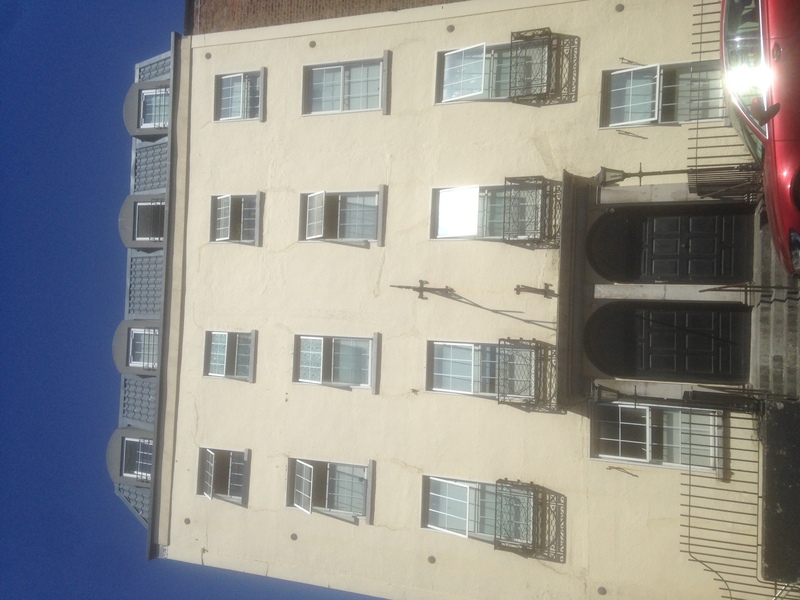 The Sisters of Mercy later built on to the original house, and what was the old chapel is now the recreation room for the residents in Direct Provision, a few pool tables lit up by the sunlight coming through the stained glass windows. I had no idea how many people would turn up for the open dress rehearsal of Jimmy’s Hall. Western Limerick Resources and Doras Luimní very kindly sorted transport from the two isolated centres, as otherwise it would be impossible for people to get to the Lime Tree Theatre. But at 2pm on Saturday, people started arriving. About 40 in all, from all around the world and of all ages. I sat beside one eight-year-old fella as the director Graham McLaren introduced the play and said it was an honour to have so many people currently living in DP as the first audience for the new version of Jimmy’s Hall. The band struck up and got a rapturous applause after each of the preshow tunes, especially the rendition of Whitney Houston’s I Wanna Dance With Somebody. The little fella beside me sat on the edge of his seat the entire show, glued to the stage. It was an electric, exhilarating performance, and though I had seen the show a few times before it took on new meaning seeing it in that audience. The lines about deportation and injustice especially took on a weighted significance. The resistance dance at the end was explosive, and got a great applause from everyone. It was one of those rare times where you see anew what theatre can do. One guy afterwards told me he had never seen theatre before, and was blown away by it. The power of theatre is that it can challenge, demand attention and bring us to places we didn’t think possible. It is entertaining yes, but that intangible something that comes from watching exciting, enlightening theatre is what really gets me. The resistance dance played on loop in my head as I waved at the buses heading back to Mount Trenchard in Foynes and Knockalisheen. And it stayed with me all the way in the car back to Dublin. What happened to Jimmy Gralton must not happen to anyone else seeking refuge in our country. We must all dance the resistance dance and demand an end to Direct Provision. It is time. The next performance in the development of Displace by Belltable Artist in Residence Katie O’Kelly will take place in Belltable in December 2018. We will continue to keep you updated on the piece’s progress through Belltable:Connect blogs. Displace is being developed as part of Katie O’Kelly’s residency at Belltable, supported by the Arts Council and Limerick Culture and Arts Office. This work-in-development rehearsed reading marked World Refugee Day. You can read Katie O’Kelly’s thoughts on the rehearsed reading here. The next performance in the development of Displace will take place in Belltable in December 2018. We will continue to keep you updated on the piece’s progress through Belltable:Connect blogs. 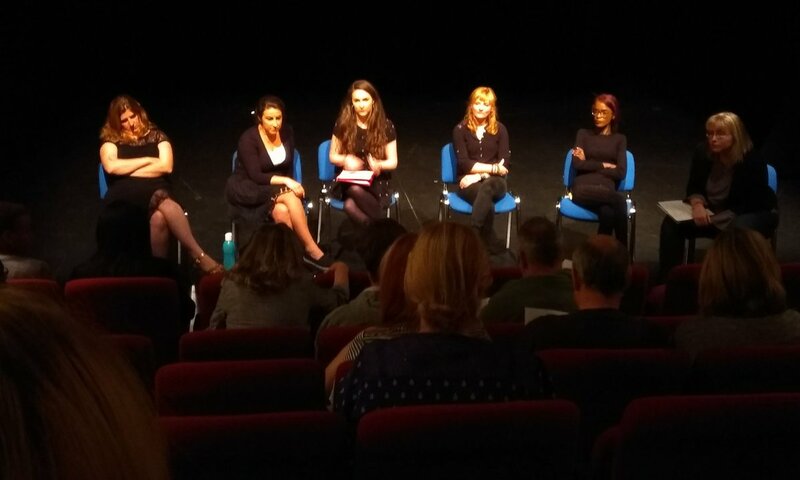 Following the first work-in-progress rehearsed reading of Displace at Belltable a week ago, Artist in Residence Katie O’Kelly shares her thoughts on seeing the play come to life on stage for the first time. Sitting in the front row of the Belltable last Wednesday watching actors read my work in progress script of Displace was a surreal moment. I usually perform in my plays, but for the purpose of the reading I had my writer hat on so was watching it with the audience. I’ve never actually heard any of my plays performed before, so it was a terrifying and thrilling experience. The actors were amazing and breathed life into the characters which have, until that night, existed only in my head. We started off the reading with a brief talk with Limerick-based actor Frances Healy, who performed in The Magdalene Sisters, and Donnah Vuma, a founding member of MASI (Movement of Asylum Seekers in Ireland) and Every Child is Your Child, and campaigner to end direct provision. It gave a context to the work, and an insight into the systems of marginalization, isolation and oppression which the play depicts. It was an honour to share the stage with such brilliant, strong and courageous women, and I’d like to thank them both for taking part and sharing their experiences with us. A trio of very talented actors then took to the stage to read the work in progress script. Georgina Miller, Sahar Ali and Niamh McGrath were exceptional at weaving the story together and presenting us with the many characters depicted in both the worlds of the Magdalene Laundry and the Direct Provision centre. At the end of the reading the audience was given the opportunity to give feedback on the script, and I had the chance to ask questions about what worked within the story and what needed further developing. 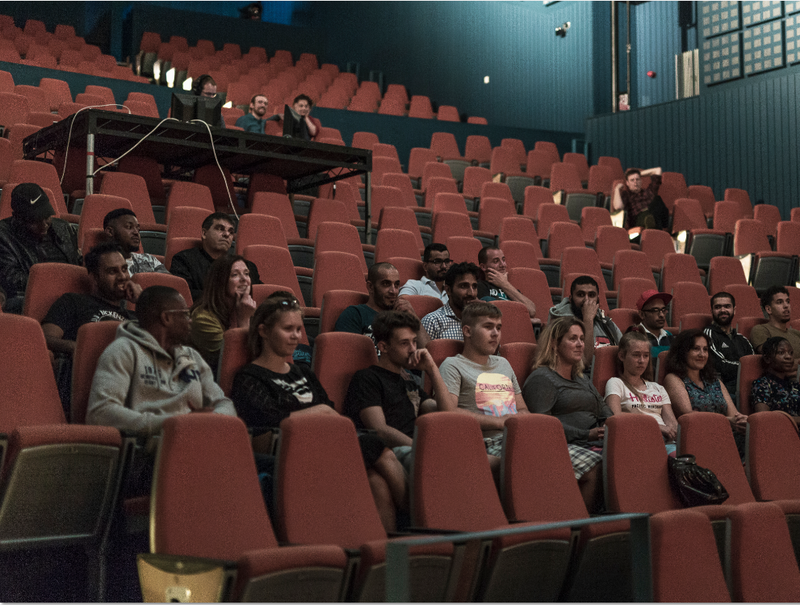 It was so great to get feedback from people in the audience who are directly affected by the direct provision system in Ireland at the moment, and to see what else I can bring to the worlds to make them clearer and richer for those watching it. The reading was sensitively staged by director Sarah Baxter and the feedback session was articulately presented by dramaturg Pamela McQueen. The brilliant Mags O’Donoghue steered us through the technical side of things, with producer Clara Purcell working miracles throughout the day to ensure the smooth running of the whole event. For a play which is so much centred on the female experience in these systems, it was crucial to have such a competent, committed and talented team supporting the work. A huge thanks to all who came along and to those involved in bringing it to the stage. I am feeling fired up and excited about getting started on the next draft, and can’t wait to get a full production up on its feet! Post-reading feedback session with the creative team of Displace and the audience. 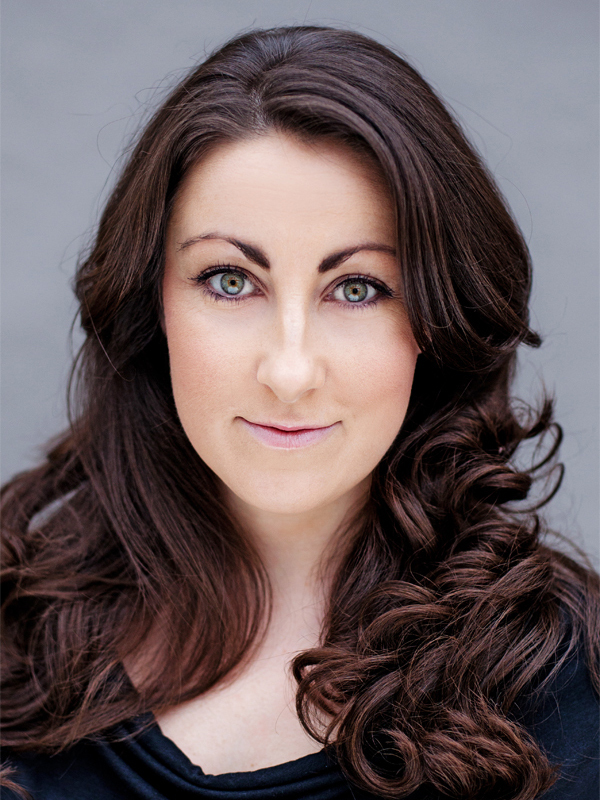 Clara Purcell has worked in theatre, film and TV production since 2012. 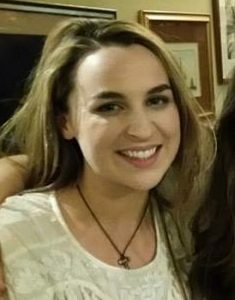 She was production assistant on the feature-length documentary Nuala – A Life (2012, Accidental Pictures) and worked in production support in RTÉ for four years. 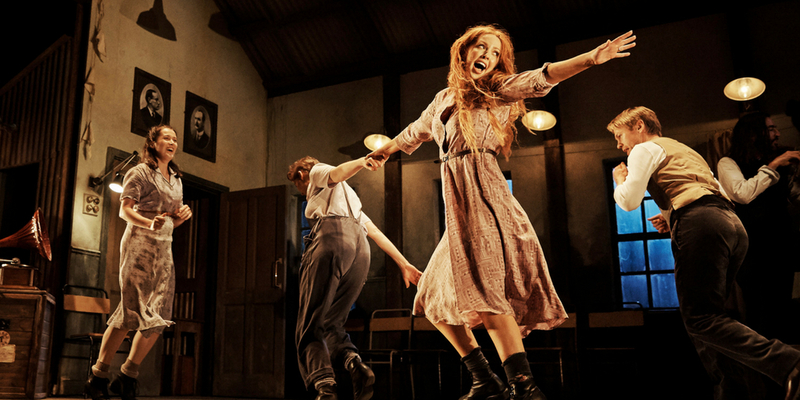 Producing credits include Dubliner’s Women (2016, The New Theatre), which toured to Belltable in November 2017, and Norah (2018, The New Theatre). She has been Front of House & Marketing Manager of The New Theatre, Temple Bar since 2015. Clara has been working with Belltable Artist in Residence Katie O’Kelly, dramaturg Pamela McQueen and director Sarah Baxter ahead of the June 20th work in progress reading of Displace at Belltable. Find out more about Clara’s work and the progress on the rehearsed reading so far in our question and answer session below. Q. What has your role as producer of Displace entailed to date? One of my main jobs as producer is to make sure that we are keeping in budget for the project and keeping track of our expenses. I have also been lucky enough to get the job that EVERYBODY wants when making theatre – applying for funding! On a project that is based on real events and experiences, some of which are ongoing, it’s crucial that all members of the creative team get a sense of the worlds of the play. 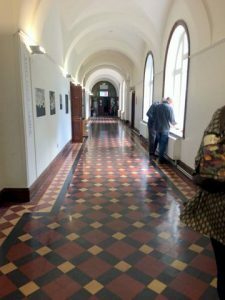 For this reason I organised a research trip to Limerick city where we visited the College of Art and Design which was formerly a Magdalene Laundry and Knockalisheen Direct Provision centre just outside the city where we met some of the residents. This field trip was crucial to fully understanding the gravity of the material we are tackling in the play. I’ve also been working with Katie and director Sarah Baxter on organising the development workshop in May and the rehearsed reading in June – selecting and booking cast members, arranging the logistics of getting everybody in the rehearsal room and organising schedules to ensure we can get the most out of the time. The fun part is getting to sit in on the workshop and seeing the piece develop more and more each day. Having finished the workshop, our focus now is on the first public reading of the work in development on June 20th in Belltable. Q. How much progress has been made in the project so far? Katie has been working closely with dramaturg Pamela McQueen and director Sarah Baxter on the script since the project began late last year. Since then she has been busy meeting with people in the Direct Provision centres in Limerick and researching accounts of the Magdalene Laundries too. Katie is now working on her third draft of the script, having made amazing progress in our workshop two weeks ago with a fantastic cast of actors – Roseanna Purcell, Niamh McGrath and Sahar Ali. Sarah and Movement Director Bryan Burroughs helped to create a physical interpretation of the two worlds in the play which gave another dimension to the piece and Pamela helped Katie to restructure the script and develop the characters. We’re really excited to get feedback on this current draft from the audience following the reading on June 20th. The support from Belltable so far has been brilliant in providing rehearsal space, marketing support and really helpful suggestions and advice on the project. We can’t wait to show you what we’ve been up to! Q. What should audiences expect from the work in progress reading on June 20th? Audiences should expect to be drawn into two worlds by a brilliant cast of Sahar Ali, Niamh McGrath and Limerick-based Georgina Miller. They will have the chance to engage with the piece directly, giving notes and feedback to the playwright on how the play could develop. They will also get the chance to hear amazing speakers, Donnah Vuma and Francis Healy share their thoughts and personal experiences with the themes of the play. Q: What 5 words best describe this piece so far? Powerful. Unapologetic. Crucial. Contemporary. Fast-paced. There’s nothing quite like the bright lights of Obamaplaza on the road to Limerick from Dublin. It’s shiny, warm glow and astonishingly wide range of Obama souvenirs and trinkets always heralds that the journey is nearly over. On the way home from gigs in the Belltable in the past it has frequently been the provider of supermacs and road trip snacks for hungry actors. Last Thursday was no different, as we pulled in to its majestic car park on our research trip to Limerick City. The trip was to show the team that I am working on my new play ‘Displace’ with some of the places that inspired the story. So at 9am I picked up dramaturg Pamela McQueen, director Sarah Baxter, movement director Bryan Burroughs and producer Clara Purcell in Dublin and we set off. As a relatively new driver, most of my attention went on making sure I didn’t go up any one-way streets the wrong way while in the city, but once we were out on the road it was great to get to chat about theatre, the Belltable residency and some of the people I have met as part of my research. The play is about a fictional Magdalene laundry building in Limerick that has been turned in to a modern day Direct Provision centre for asylum seekers while they wait for their application to be processed. This process can take years, and asylum seekers are left in a system where they are not allowed to work, not allowed to cook their own food, and given €21.60 a week. The price of two supermac meals in Obamaplaza, or a couple of keyrings with I heart Ireland on them. When we reached Limerick, our first port of call was the Limerick School of Art and Design, what used to be the old Good Shepherd Laundry. It was amazing to see the building that I had read so much about transformed into a completely different setting, but with so much of the old laundry aesthetic still evident. 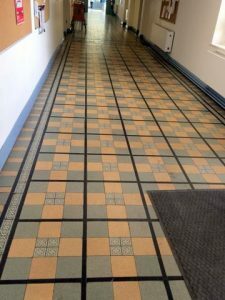 there by the difference in design – some corridors have parquet wood on the floors and walls, while other areas are covered in old 1950s lino. The team couldn’t believe how much of it was still there. The windows high up in the walls in some of the old laundry rooms meant that if you were one of the women working there you weren’t even allowed to look out. Given no indication of how long you would be there, cut off from the world, much like the people left in the modern day direct provision system. 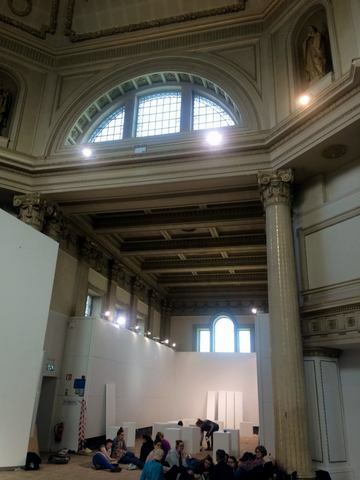 We went in to the exhibition gallery, which used to be the old chapel in the grounds of the laundry. Here, the women would be brought in for Mass and seated on one side of the building while the children from the orphanage would sit in another part. There are accounts of the women craning to catch a glimpse of their child that had been taken from them and put in the orphanage, while the mothers worked only a short distance away in the steaming heat of the laundry. It was very affecting to be in the silence of that room, with its ornate marble and gold mosaic on the walls, and think of the suffering that those women were put through. It’s haunting. Next we visited Marketa in Belltable before a very delicious lunch in Hook and Ladder – Bryan said he became a regular there when he was in Angela’s Ashes the Musical, and we can see why! Lovely food and a very nice atmosphere, we’ll definitely be heading back there for sure :-). After lunch we visited a friend of mine in one of the direct provision centres in Limerick. I won’t say which one as I want to be sure nothing happens because of it – this is all part of the system, of keeping people separated and afraid of what can happen if you cause ‘trouble’. It’s shocking to visit these centres though, many of them are old religious buildings that have repurposed to house asylum seekers, out in the middle of nowhere and with extremely limited transport in to the city. If you get the bus in to town, it leaves at 9:30am and you won’t be able to go back until the return bus at 5:30pm. That’s a fecking long wait. Some of the centres have an air of Stepford about them, with everything looking nice but something not quite right at the same time. The ones with children have playrooms for example, but the toys aren’t used and frequently the door in to the room is locked. There are no children to be seen, a strange feeling in a centre that supposedly houses 70 little ones. In another centre that I went to, I was the first person to sign the visitors book in 2018. Two people had signed in last year, and five in 2016. How are people supposed to integrate in to the community, one of the things they look for when assessing applications, if you are purposely cut off from that community – placed in a big vacant building miles away from the nearest town? We saw the canteen in this DP centre, the noticeboards of signs saying the rules, and the laundry where half the machines don’t work; the depressed atmosphere of waiting is palpable. The car ride home was very different from the journey down. Everyone was very moved and affected by what we had seen. There was far less chat, it seemed trivial after it somehow. We are determined to try to bring some of what we saw to the stage, to share it with a wider community. I’ve finished my second draft of the script of ‘Displace’, and am all fired up to start work on the next draft for the reading in the Belltable on 20th June, which marks World Refugee Day. I’ve never done a reading of a work in progress before, so it will be interesting to see what new ideas are sparked by it, as well as being just a wee bit terrifying! 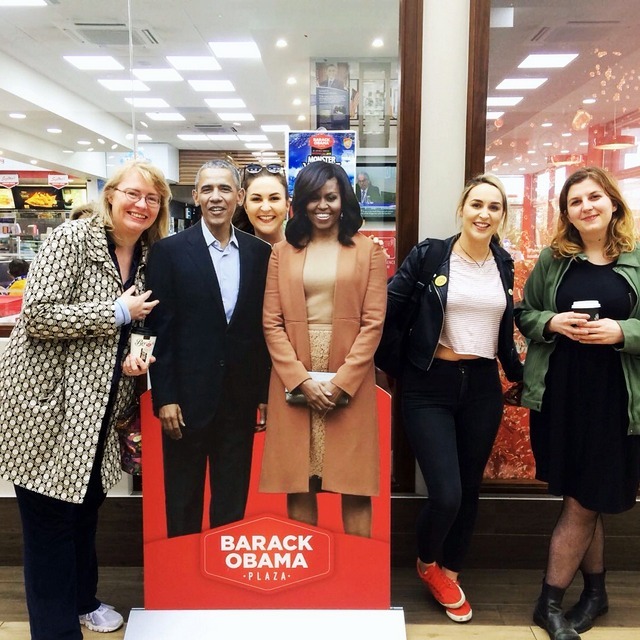 But it’s good to push your comfort zone sometimes, and the warm glow of Obamaplaza will always be there for the supermacs afterwards :-).